In January's issue of Car Craft Magazine, we welcome in the new year with Mishimoto's new line of Classic Car Performance Parts! 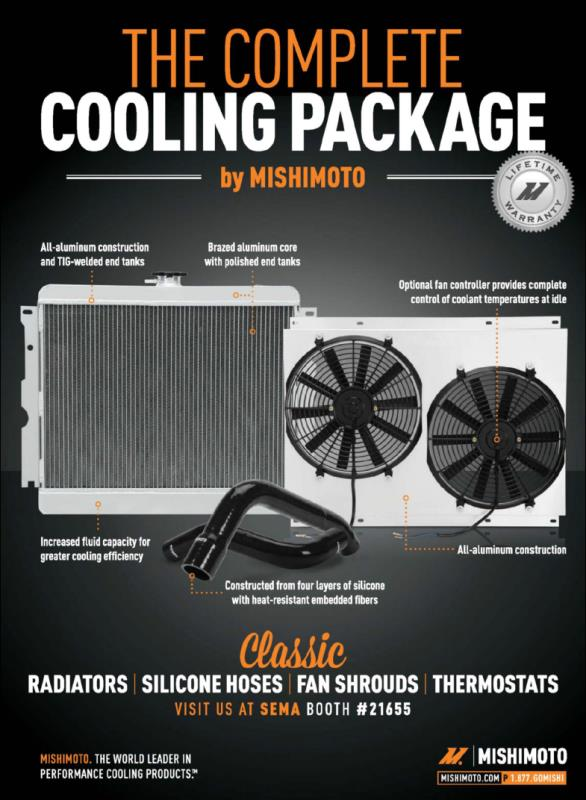 Page 29 features the complete cooling package for your classic. Whether you’re a classic cruiser in search of dependable quality to upgrade your stock parts, or you’re a devoted racer building a highly modified muscle car in need of lightweight performance parts, Mishimoto has you covered. We’re proud to offer factory-fit classic radiators, performance fan shroud kits, and direct-fit silicone hoses. Mishimoto classic performance parts are the perfect addition to any classic car. With a high quality engine, you want high quality parts. Our classic performance parts are built to keep your classic on the road for years to come. Our entire line of classic performance parts is backed by our no-questions-asked signature Lifetime Warranty.